As we grew our crowdfunding -- it was clear that we needed a way for our female supporters to make a statement. So here we are: we present you the sweat-dress. Three big stars printed with a vintage finish in a beautiful hue of yellow give you a chance to stand out in a crowd. 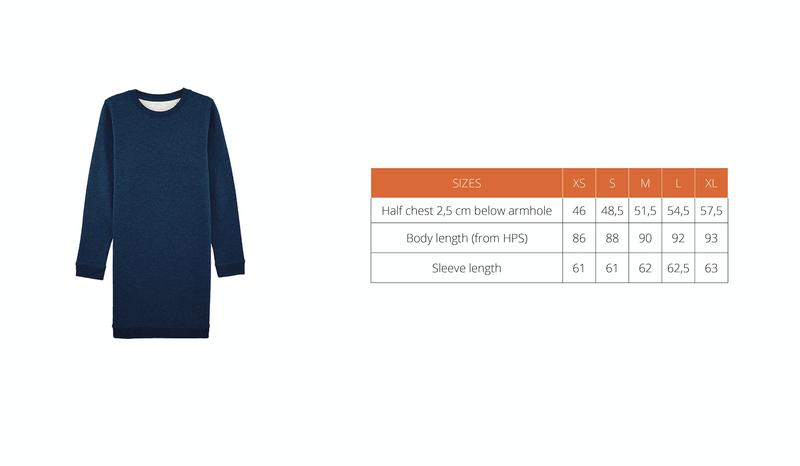 This biologically sourced cotton sweat-dress guarantees a quality EUROPEAN-made label.